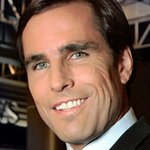 The American Brain Foundation has announced that Bob Woodruff, former ABC “World News Tonight” co-anchor and current ABC News Asia correspondent, is the recipient of its 2016 Public Leadership in Neurology Award. The American television journalist is being honored for his commitment to helping people with traumatic brain injury and other related brain diseases. The Public Leadership in Neurology Award honors an individual or group outside of the medical profession. Honorees are known for advancing public understanding and awareness of neurologic disease, being effective advocates for neuroscience research and making significant contributions to improve patient care. On January 29, 2006, while reporting on US and Iraqi security forces for “World News Tonight,” Woodruff was seriously injured by a roadside bomb that struck his vehicle near Taji, Iraq. He sustained shrapnel wounds and a traumatic brain injury, for which he underwent surgery and was kept in a medically induced coma for 36 days to assist his recovery. Just 13 months later, Woodruff made a miraculous return to ABC News with “To Iraq and Back: Bob Woodruff Reports.” The hour-long documentary explored the consequences of traumatic brain injury and highlighted the difficulties brain injured veterans face finding treatment. Woodruff’s newfound determination to help other Americans similarly wounded in war continued with a series of followup reports centering on the problems that wounded American soldiers encounter in their treatment and recovery. In 2006, along with his wife Lee, Woodruff founded the nonprofit Bob Woodruff Foundation, whose mission is to find and fund innovative programs to ensure injured veterans — including those with brain injuries — and their families are thriving long after they return home. Lee Woodruff will accept the award on her husband’s behalf during the American Brain Foundation Awards Luncheon held on Tuesday, April 19, 2016, at the Vancouver Convention Centre as part of the American Academy of Neurology’s 68th Annual Meeting, the world’s largest gathering of neurologists with more than 12,000 attendees. 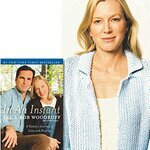 In his best-selling 2008 memoir, “In an Instant,” Woodruff shares stories about the fragility of life, the strength of family, and the bravery of those who helped save him. As co-author of “In an Instant,” Lee has appeared together with Woodruff on national television and radio since February 2007, helping put a face on the serious impact of traumatic brain injury on both patients and family members. In accepting this award, Woodruff joins such illustrious past recipients as Walter F. Mondale, Dame Julie Andrews, Michael J. Fox and Cuba Gooding Jr. The American Brain Foundation, founded by the American Academy of Neurology, supports crucial research and education to discover causes, improved treatments, and cures for brain and other nervous system diseases.